I’ve got a playlist of nearly 500 songs that I love on my iph0ne, I play it on random when I don’t want to be disturbed at work. It’s also played in the car when I’ve run out of podcasts and don’t want to listen to the radio. Some songs make me so happy when I hear them, I’ll play them over and over again, case in point yesterday when I couldn’t get enough of Yo-Yo Ma playing Prélude. Some songs give me a lump in my throat when I hear them, some songs I used to love and yet I can’t listen to them as easily anymore. The Bee Gees being a prime example. You wouldn’t think that music used to highlight the cultural transition to disco so clearly in Saturday Night Fever, or much to everyone’s merriment (apparently including theirs) in Airplane could make me sad but it does. Almost unbearably so. I listened to a documentary on male Countertenors, and how the larynx physically changes to produce the notes required for operatic arias. The Bee Gees and Jimmy Somerville from The Communards, being the most accessible artists using the same technique, although Jimmy apparently didn’t know he did it, that was just the way he sang. The documentary played a clip of Robin Gibb singing Massachusetts, he wrote and recorded it when he was just 18 years old. The range and emotion in that simple song is incredible. Awesome, in the true sense of the word. Hubs and I recently watched the Who Do You Think You Are? 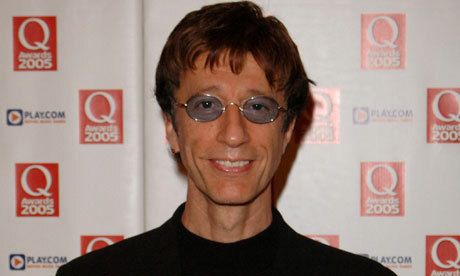 episode Robin Gibb recorded the year before his death. He’s painfully, painfully thin. For someone who never carried a lot of weight, watching him walk around with layers on for warmth, it was heart wrenching. Then when he said he wanted to be around to read records about his family member that were restricted from release, and knowing he missed seeing them by a few short months, well, that finished me off completely. I don’t want to not be able to listen to their music anymore, like Wet Wet Wet. That’s another blog post, and one that could probably get me into legal trouble if I wrote it, so scratch that. Ahem. I hope one day I can just shuffle the playlist and not skip the Bee Gees. Whatever you think of their music, look sideways at some of the songs they wrote for other artists and just acknowledge they were, frankly, three of the most talented musicians ever to grace us. In 1977, Barry Gibb once either wrote, performed on or had produced 5 records out of the Billboard Top Ten, in one week four of the top five songs! How many people can say that? In my little life, they’ve given me such pleasure. Thank you for the music. There is one thing I wanted to correct (if you’ll allow)….it’s not a huge thing and is pretty understandable. Massachusetts was recorded (and, we’ll assume written) in 1967, and since Robin (and Maurice) were born in 1949, it seems logical to say he was 18 when Robin sang that song, but since the twins were born on December 22, that really means Robin was only 17 when the song was recorded (yes, even more astounding). When you add in the fact that “To Love Somebody” was also written by Barry and Robin that year, and that Robin also survived the Hither Green train disaster in November of that year……in some ways I suppose we were lucky to have him as long as we did. Still seems astonishing though that Barry, as the oldest brother, is the only one to actually live past 65. Ah well, my best and hope you can find it in you to start listening to the group again. Music is the universal language that can heal us all, after all.